Rise, the impressive robot uprising short film starring the late Anton Yelchin, is being adapted into a movie... with the original director on board to helm the production. The five-minute film takes an updated version of the special effects from A.I. with the storyline of “The Second Renaissance” from The Animatrix. It’s all about a dystopian future where artificially intelligent robots are hunted and killed, after the government determined they were becoming too emotional and, therefore, human. 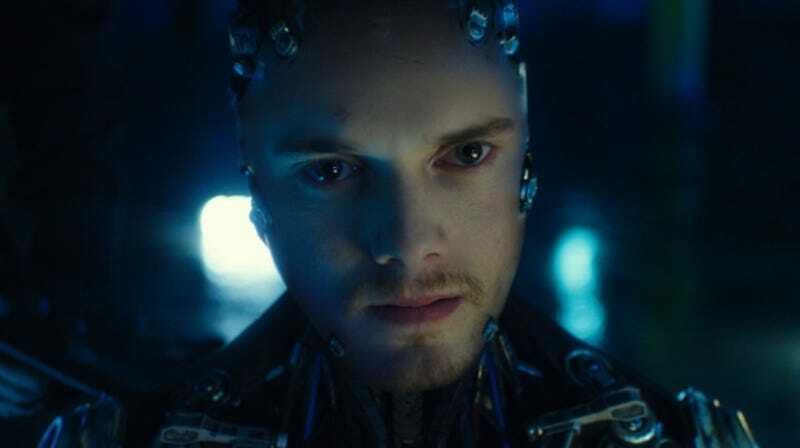 Unfortunately, it’s not working, as Yelchin’s A.I. helps trigger a war for the future of their species. David Karlak, who directed the original short, has signed on to direct the feature-length adaptation. It’s being produced by Johnny Lin (American Made) and Brian Oliver (Hacksaw Ridge, Black Swan), with original writers Patrick Melton and Marcus Dunstan returning to pen the script. No word who would replace Yelchin, who sadly passed away last year, but I am hoping Rufus Sewell (The Man in the High Castle) reprises his role as the government interrogator. I’ll watch him in anything. You can watch the original short film below.